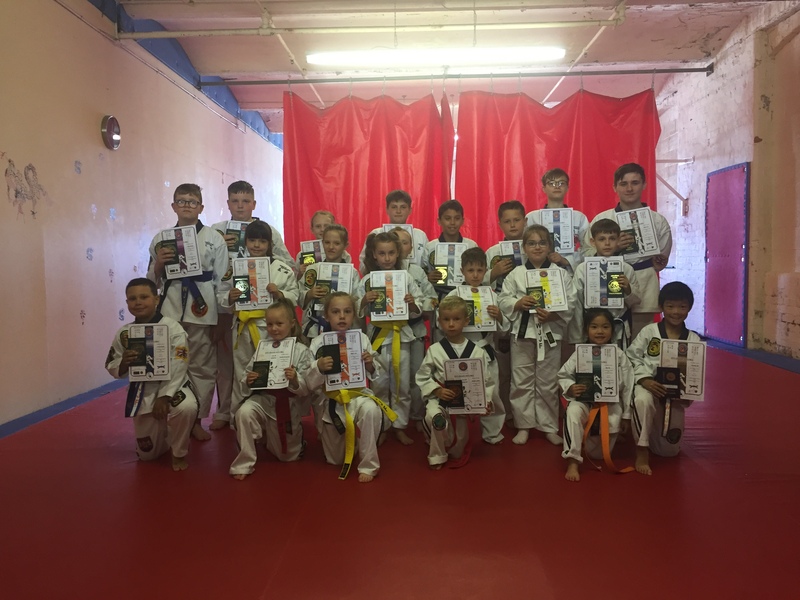 On the 24th June 2018, students from Karma Ju-Jitsu performed their last grading at their Temporary Home based within Samurai Ju-Jitsu academy in Chadderton. 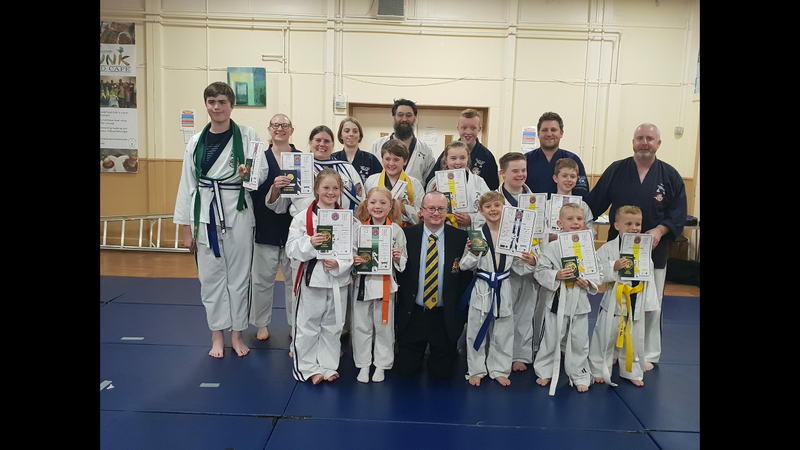 Sensei David Powsney and Sensei Oliver Bullock were in attendance to watch adults and children perform their grades. On Friday 29th June, we said goodbye to two loyal staff members from the WJJF. Jean Hankin has decided to take a back seat and retire from the WJJF Counter. Having now five Grandchildren, one of whom had already started Ju-Jitsu, she has her hands full. Welcome to the 3rd Edition of our newsletter, we’ve been busy. Many thanks to all the technical officers that attended these gradings, Kancho Hart, Sensei Bernard Moore and Sensei Paul Daley. Everyone passed with flying colours, well done everyone. Shihan Gary Forster was the presiding Technical Officer at Skelmersdale Ju-Jitsu Grading. The students were very engaged and all performed very well. Congratulations everyone on achieving your new grades!! 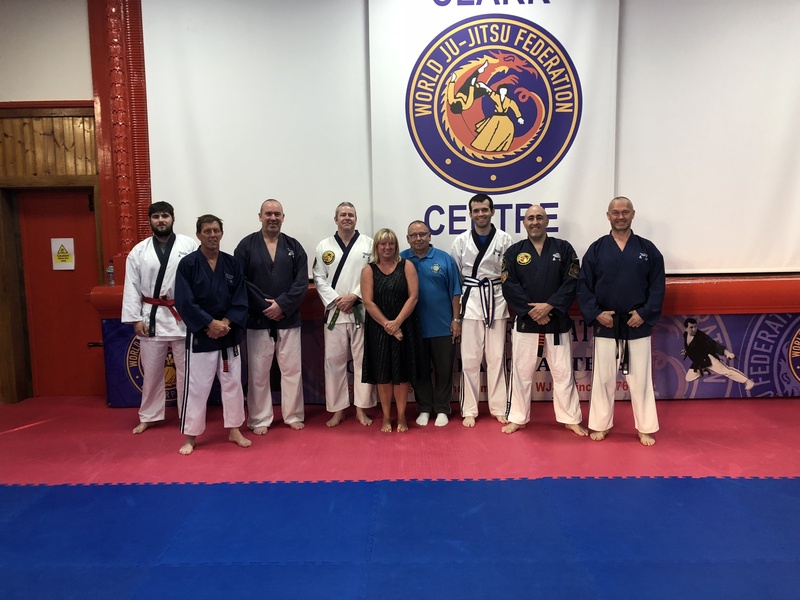 Thank you to Club Coach Sensei Bernard Moore and his Coaches for the training and help you give to your students. 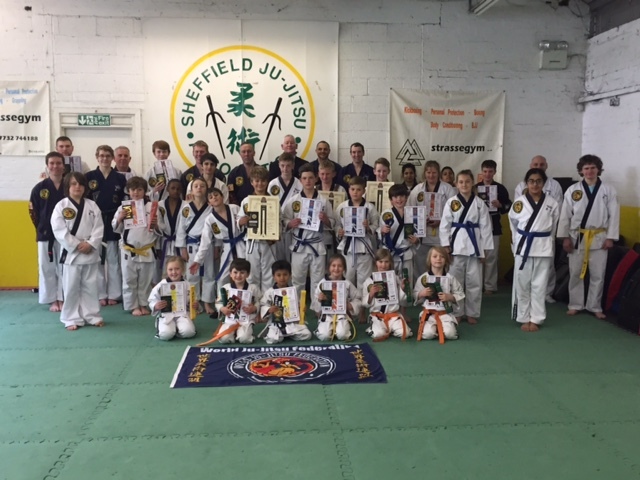 Kancho Bob Hart and Shihan Brian Truby were delighted to attend Sheffield Ju-Jitsu Grading. The students all performed to a high standard. Thanks go to Sensei Simon Cooper and all his Club Coaches for their expertise and efforts to ensure their students passed their grading. As you are no doubt aware the revised law relating to Data Protection comes into effect today the 25th May 2018. The World Ju-Jitsu UK CIC, and associated companies, (hereby known as the WJJF), have taken steps to ensure that we are compliant with all the necessary requirements. 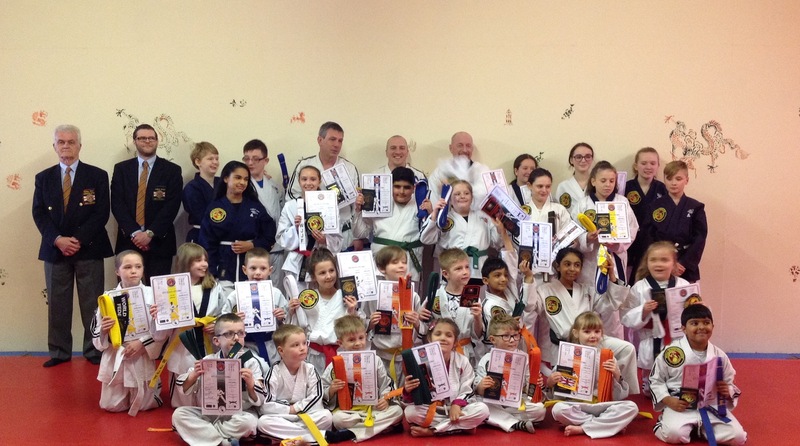 Well done to all the Junior and Senior Students who graded. 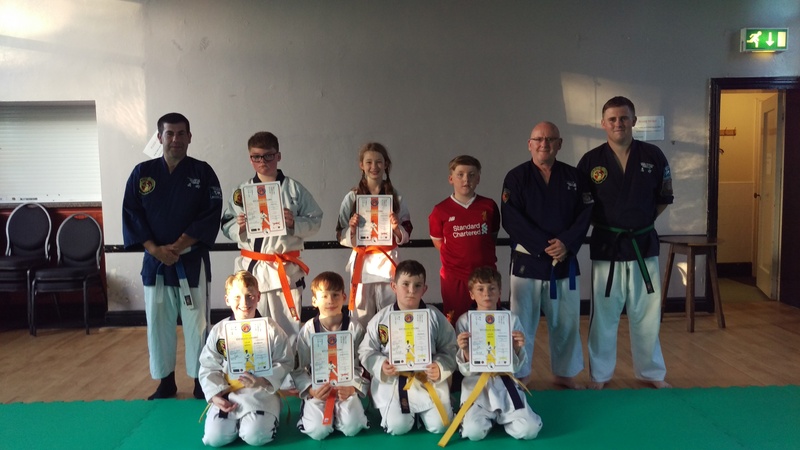 Thank you to their Club Coach, Sensei Mark Coope for his time and effort to help them achieve their success. 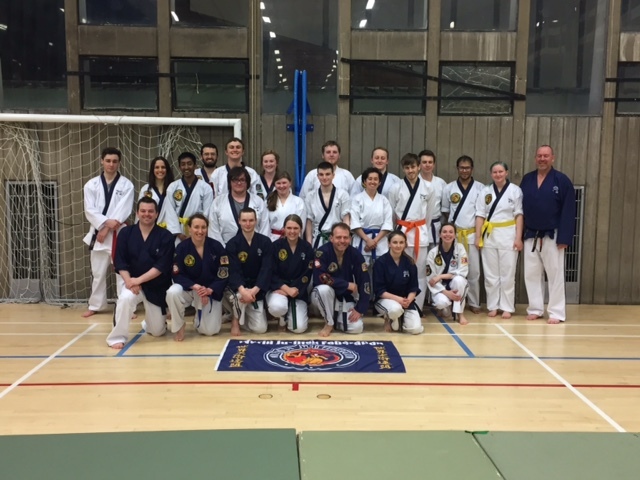 Thank you also to our Executive Officer, Kyoshi Russ Walsh and Technical Officer, Sensei Oliver Bullock who presided over the grading.